Thank you Jeannie Hopper and WBAI for Saturday's Ritmo Y Tumbao interview! "RITMO Y TUMBAO" LA DESCARGA!! is a monthly gathering featuring a fusion of live and electronic music with a nod to the 70's when music was live and eminating messages like the Fania All Stars, WAR and so many other groups leading to the birth of Hip Hop, House and all genres branching off into new scenes and sounds throughout the borroughs. 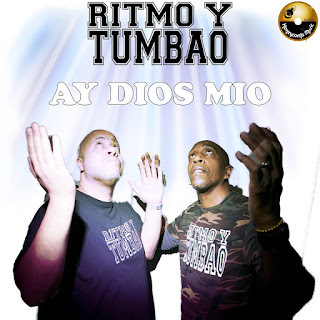 Your musical guides are DJ's Cuba and Dres DJ who also play percussion live in the mix creating a mosaic of culture along with a tribe of visual artists, singers, poets and more that make up Ritmo Y Tumbao. Exclusive preview of their new album "Ay Dios Mio" produced by Josh Milan for Honeycomb Music. We'll explore the new album titled after the same name of the weekly party produced by Dres Ramos aka DJ Dres to be released on Josh Milan's (BLAZE) Honeycomb Music. After jamming on percussion and dj'ing at mobile parties, he came upon a Ritmo Y Tumbao party and improvised as he does on percussion and organically grew right into the crew to become a member.